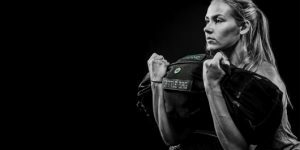 If you are looking to increase your strength and build a functional body that is athletic, strong, and able to perform a wide variety of activities – you must become a master at these five exercises, says personal trainer in Alexandria, Va Eric Leader. 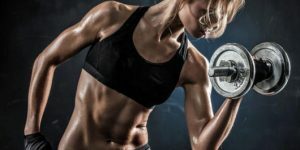 The most important strength increasing exercises are the ones that involve complex movements and work your major muscle groups as well as your secondary muscle groups. Developing your large muscle groups will help you increase your lean muscle mass and burn fat at a much higher rate. The following are the five most important strength training exercises. Incorporate each of these exercises into your strength training routine twice a week for optimal results. The Bench Press is an extremely important upper body exercise. Not only does the bench press develop your chest muscles, but it works to develop surrounding muscle groups like your triceps, shoulders and upper back. You can perform the Bench press in a variety of ways to work different upper body muscle groups. If you want the best variety make sure you are performing Barbell Close Grip Bench Press, Barbell Incline Bench Press and Barbell Decline Bench Press on a weekly basis. This will develop all areas of your chest and give you the most strength possible. Pull Ups are another great exercise that increases strength in your back and arms. Pull Ups can be done in a variety of ways to isolate your biceps or different areas of your back. The most effective strength building exercise is the Wide Grip Pull Up, as this works your arms, lats, and middle back. Pull Ups should be done 2-3 times a week for maximum strength increases. If simple Pull Ups are not enough for you, try Weighted Pull Ups. Squats are the king of the lower body strength training exercises. Squats will develop very strong quadriceps, as well as working your glutes, hamstrings, and lower back. 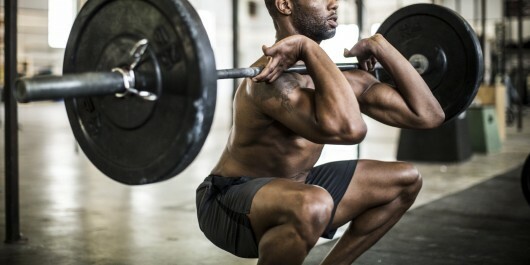 Squats are an integral strength training exercise as they put a great deal of stress on the major leg muscles. If you are serious about strength training and want a full functional body, make sure to incorporate squats into your routine twice a week. You can also do Barbell Overhead Squat, Dumbbell Jumping Squat, One Leg Bodyweight Squat if you are looking for an added challenge. Dips are another fantastic upper body strength training exercise. One of the best exercises for building a strong chest and triceps is the Weighted Tricep Dips in which you hang a weighted plate from a power dip belt or put it on top of your legs. This adds another element to the exercise and will develop an incredibly strong chest and triceps. The dip exercise works your outer chest muscles, shoulders, triceps, and even upper back. Dips are one of the best exercises for increasing upper body strength. Deadlifts are often overlooked but happen to be one of the most important strength training exercises. Deadlifts are one of the few exercises that develop strength in the hamstrings and lower back simultaneously. For this exercise, you can use dumbbells or barbell like in Barbell Deadlift, Dumbbell Deadlift, Smith Machine Stiff Legged Deadlift. Deadlift is great for developing full body strength because it isolates 2 major muscle groups that are often overlooked by strength training programs. The lower back and hamstring muscles are vital for full body strength, and the deadlift works to develop both of these key muscle groups.